The Board of Directors defines the Group's strategic vision, assisted by four specialized committees: the Audit Committee, the Governance & Ethics Committee, the Compensation Committee and the Strategy & CSR Committee. It is composed of 12 directors and its membership offers a diverse and synergistic range of experience, nationalities and cultures. Since May 26, 2017, the members of Total S.A.'s Board of Directors are as follows. Companies marked with an asterisk are listed companies. Born on June 24, 1963 (French). Chairman and Chief Executive Officer of TOTAL S.A. Director of TOTAL S.A. since the Ordinary Shareholders' Meeting of May 29, 2015. Last renewal: the Ordinary Shareholders' Meeting of June 1, 2018 until 2021. Chairman of the Strategy & CSR Committee. A graduate of École Polytechnique and a Chief Engineer of France’s Corps des Mines, Mr. Pouyanné held, between 1989 and 1996, various administrative positions in the Ministry of Industry and other cabinet positions (technical advisor to the Prime Minister – Édouard Balladur – in the fields of the Environment and Industry from 1993 to 1995, Chief of staff for the Minister for Information and Aerospace Technologies – François Fillon – from 1995 to 1996). 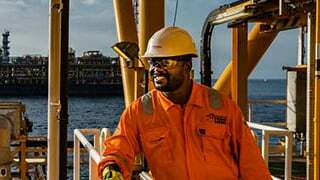 In January 1997, he joined TOTAL’s Exploration & Production division, first as Chief Administrative Officer in Angola, before becoming Group representative in Qatar and President of the Exploration and Production subsidiary in that country in 1999. In August 2002, he was appointed President, Finance, Economy and IT for Exploration & Production. In January 2006, he became Senior Vice President, Strategy, Business Development and R&D in Exploration & Production and was appointed a member of the Group’s Management Committee in May 2006. In March 2011, Mr. Pouyanné was appointed Deputy General Manager, Chemicals, and Deputy General Manager, Petrochemicals. In January 2012, he became President, Refining & Chemicals and a member of the Group’s Executive Committee. On October 22, 2014, he became Chief Executive Officer of TOTAL S.A. and Chairman of the Group’s Executive Committee. On May 29, 2015, he was appointed by the Annual Shareholders’ Meeting as director of TOTAL S.A. for a three-year term. At its meeting on December 16, 2015, the Board of Directors of TOTAL appointed him as Chairman of the Board of Directors as of December 19, 2015 for the remainder of his term of office as director. 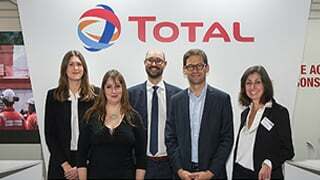 Mr. Patrick Pouyanné thus became the Chairman and Chief Executive Officer of TOTAL S.A.
Born on October 14, 1951 (French). Director of TOTAL S.A. since the Ordinary Shareholders' Meeting of May 15, 2009. Last renewal: Ordinary Shareholders' Meeting of June 1, 2018 until 2021. Independent director. Member of the Audit Committee and the Strategy & CSR Committee. A graduate of École Polytechnique, École Nationale de la Statistique et de l’Administration Économique(ENSAE) and Institut d’études politiques de Paris, Mr. Artus began his career at INSEE (the French National Institute for Statistics and Economic Studies) where his work included economic forecasting and modeling. He then worked at the Economics Department of the OECD (1980), later becoming the Head of Research at the ENSAE from 1982 to 1985. He was scientific advisor at the research department of the Banque de France, before joining the Natixis Group as the head of the research department, and has been a member of its Executive Committee since May 2013. He is an associate professor at the University of Paris I, Sorbonne. He is also a member of the Cercle des Économistes. Born on April 17, 1955 (French). Director of TOTAL S.A. since the Ordinary Shareholders' Meeting of May 16, 2008. Last renewal: Ordinary Shareholders' Meeting of May 26, 2017 until 2020. Independent director. Lead Independent Director. Chairwoman of the Governance and Ethics Committee, member of the Compensation Committee and Strategy & CSR Committee. A graduate of École Supérieure de Commerce de Paris (ESCP-Europe) in 1976, Patricia Barbizet started her career in the Treasury division of Renault Véhicules Industriels, and then as CFO of Renault Crédit International. In 1989, she joined the group of François Pinault as CFO and was CEO of Artémis, the Pinault family’s investment company, between 1992 and 2018. She was also CEO and Chairwoman of Christie’s from 2014 to 2016. Patricia Barbizet is Vice Chairwoman of the Board of Directors of Kering and Vice Chairwoman of Christie’s Plc. She has been a member of the Board of Directors of TOTAL S.A. since 2008, and has also been a director of Bouygues, Air France-KLM and PSA Peugeot-Citroën. She was Chairwoman of the Investment Committee of the Fonds Stratégique d’Investissement (FSI) from 2008 to 2013. Born on November 4, 1956 (French). Director of TOTAL S.A. since the Ordinary Shareholders' Meeting of May 13, 2011. Last renewal: Ordinary Shareholders' Meeting of May 26, 2017 until 2020. Independent director. Chairwoman of the Audit Committee and member of the Compensation Committee. Main function: Chairwoman of Sonepar S.A.S. Ms. Coisne-Roquette has a Bachelor’s Degree in English. A lawyer by training, with a French Masters’ in Law and a Specialized Law Certificate from the New York bar, she started a career as an attorney in 1981 at the Paris and New York bars, as an associate of Cabinet Sonier & Associés in Paris. In 1984 she became a member of the Board of Directors of Colam Entreprendre, a family holding company that she joined full time in 1988. As Chairwoman of the Board of Colam Entreprendre and the Sonepar Supervisory Board, she consolidated family ownership, reorganized the Group structures and reinforced the shareholders’ Group to sustain its growth strategy. Chairwoman and Chief Executive Officer of Sonepar as of 2002, Marie-Christine Coisne-Roquette became Chairwoman of Sonepar S.A.S. in 2016. At the same time, she heads Colam Entreprendre as its Chairwoman and Chief Executive Officer. Formerly a member of the Young Presidents’ Organization (YPO), she served the MEDEF (France’s main employers’ association) as Executive Committee member for 13 years and was Chairwoman of its Tax Commission from 2005 to 2013. She was a member of the Economic, Social and Environmental Council from 2013 and 2015 and is currently a Director of TOTAL S.A.
Born on May 2, 1958 (Australian). Director of TOTAL S.A. since the Ordinary Shareholders' Meeting of May 26, 2017 until 2020. Independent director. Member of the Governance and Ethics Committee since June 1, 2018. Mr. Cutifani was appointed director and Chief Executive of Anglo American plc. on April 3, 2013. He is a member of the Board’s Sustainability Committee and chairs the Group Management Committee. Mr. Cutifani has 41 years of experience in the mining industry in various parts of the world, covering a broad range of products. Mark Cutifani is a non-executive Director of Anglo American Platinum Limited, Chairman of Anglo American South Africa, and Chairman of De Beers plc. He previously held the post of Chief Executive Officer of AngloGold Ashanti Limited. Before joining AngloGold Ashanti, Mr. Cutifani was COO responsible for global nickel business of Vale. Prior to that, he held various management roles at Normandy Group, Sons of Gwalia, Western Mining Corporation, Kalgoorlie Consolidated Gold Mines and CRA (Rio Tinto). Mr. Cutifani has a degree in Mining Engineering (with honors) from the University of Wollongong in Australia. He is a Fellow of the Royal Academy of Engineering, the Australasian Institute of Mining and Metallurgy and the Institute of Materials, Minerals and Mining in the United Kingdom. Mr. Cutifani received an honorary doctorate from the University of Wollongong in Australia in 2013 and an honorary doctorate from Laurentian University in Canada in 2016. Born on September 13, 1949 (Dutch). Director of TOTAL S.A. since the Ordinary Shareholders' Meeting of May 24, 2016 until 2019. Independent director. Member of the Audit Committee. Ms. van der Hoeven trained as a teacher, becoming a professor in economic sciences and administration then a school counselor. She was then Executive Director of the Administrative Center for vocational training for adults in Maastricht for seven years and then Director of the Limbourg Technology Center. She was a member of the Dutch Parliament, served as Minister of Education, Culture and Science from 2002 to 2007, and was Minister of Economic Affairs of the Netherlands from 2007 to 2010. Ms. van der Hoeven then served as Executive Director of the International Energy Agency (IEA) from September 2011 to August 2015. During this period, she contributed to increasing the number of members of the Agency and emphasized the close link between climate and energy policy. In September 2015, Ms. van der Hoeven joined the Board de Trustees of Rocky Mountain Institute (USA) and in the spring of 2016, became a member of the supervisory board of Innogy SE (Germany). Since October 2016, Ms. van der Hoeven has been Vice Chairwoman of the High-level Panel of the European Decarbonisation Pathways Initiative within the European Commission. Born on July 27, 1951 (French). Director of TOTAL S.A. since the Ordinary Shareholders' Meeting of May 11, 2012. 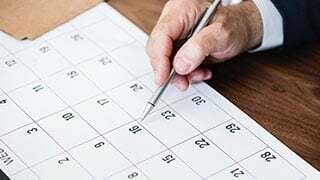 Last renewal: Ordinary Shareholders' Meeting of June 1, 2018 until 2021. Independent director, Member of the Governance and Ethics Committee, and member of the Strategy & CSR Committee. A graduate of Institut d’Études Politiques de Paris and formerly a student at École Nationale d’Administration (ENA -1974), Ms. Idrac began her career holding various positions as a senior civil servant at the Ministry of Infrastructure (Ministère de l’Équipement) in the fields of environment, housing, urban planning and transportation. She served as Executive Director of the public institution in charge of the development of Cergy-Pontoise (Établissement public d’Aménagement de Cergy-Pontoise) from 1990 to 1993 and Director of land transport from 1993 to 1995. Ms. Idrac was State Secretary for Transport from May 1995 to June 1997, elected member of Parliament for Yvelines from 1997 to 2002, regional councilor for Île-de-France from 1998 to 2002 and State Secretary for Foreign Trade from March 2008 to November 2010. She also served as Chairwoman and Chief Executive Officer of RATP from 2002 to 2006 and then as Chairwoman of SNCF from 2006 to 2008. Born on July 15, 1961 (Belgian). Director of TOTAL S.A. since January 12, 2012. Last renewal: Ordinary Shareholders' Meeting of May 24, 2016 until 2019. Independent director. Chairman of the Compensation Committee and member of the Audit Committee. Mr. Lamarche graduated in economic science from Louvain-La-Neuve University and is also a graduate of INSEAD business school (Advanced Management Program for Suez Group Executives). He also attended the Global Leadership Series training course at the Wharton International Forum in 1998-99. He started his career at Deloitte Haskins & Sells in Belgium in 1983, before becoming a consultant in mergers and acquisitions in the Netherlands in 1987. In 1988, Mr. Lamarche joined Société Générale de Belgique as an investment manager. He was promoted to the position of management controller in 1989 before becoming a consultant in strategic operations from 1992 to 1995. He joined Compagnie Financière de Suez as a project manager for the Chairman and Secretary of the Executive Committee (1995-1997), before being appointed as the acting Managing Director in charge of Planning, Management Control and Accounts. In 2000, Mr. Lamarche moved to NALCO (the American subsidiary of the Suez group and the world leader in the treatment of industrial water) as Director and Chief Executive Officer. He was appointed Chief Financial Officer of the Suez group in 2003. In April 2011, Mr. Lamarche became a director on the Board of Directors of Groupe Bruxelles Lambert (GBL). He has been the Deputy Managing Director since January 2012. Mr. Lamarche is currently a director of LafargeHolcim Ltd (Switzerland), TOTAL S.A., SGS S.A. (Switzerland) and Umicore (Belgium). Born on June 6, 1950 (French). Independent director. Member of the Governance and Ethics Committee and of the Strategy & CSR Committee. Mr. Lemierre is a graduate of the Institut d’études politiques de Paris and the École Nationale d’Administration; he also has a law degree. Mr. Lemierre held various positions at the French tax authority, including as Head of the fiscal legislation department and Director-General of Taxes. He was then appointed as Cabinet Director at the French Ministry of Economy and Finance before becoming Director of the French Treasury in October 1995. Between 2000 and 2008, he was President of the European Bank for Reconstruction and Development (EBRD). He became an advisor to the Chairman of BNP Paribas in 2008 and has been Chairman of BNP Paribas since December 1, 2014. During his career, Mr. Lemierre has also been a member of the European Monetary Committee (1995-1998), Chairman of the European Union Economic and Financial Committee (1999-2000) and Chairman of the Paris Club (1999-2000). He then became a member of the International Advisory Council of China Investment Corporation (CIC) and the International Advisory Council of China Development Bank (CDB). He is currently Chairman of the Centre d’Études Prospectives et d’Informations Internationales (CEPII), and a member of the Institute of International Finance (IIF). Born on November 5, 1963 (Polish). Director representing employee shareholders of TOTAL S.A. since the Ordinary Shareholders' Meeting of May 24, 2016 until 2019. Member of the Compensation Committee. Ms. Perycz is a graduate of the University of Warsaw, the École des Hautes Études Commerciales (HEC) and the SGH Warsaw School of Economics. Ms. Perycz entered the Group in 1993 as a logistics and sales manager for Total Polska. In 2000, she became a supplies and logistics manager before becoming head of the subsidiary’s Purchasing Department in 2003. In 2007, she became Total Polska sp. z.o.o.’s Human Resources and Purchasing director. Since 2013, Ms. Perycz has been the subsidiary’s Human Resources and Internal Communications director. She has also been an elected member, representing unit-holders, of the Supervisory Board of FCPE Total Actionnariat International Capitalisation since 2012. Born on May 7, 1968 (French). Director representing employees of TOTAL S.A. since the Ordinary Shareholders' Meeting of May 26, 2017 until 2020. Member of the Strategy & CSR Committee since June 1, 2018. A graduate of the University Institut Universitaire de Technologie in Chemistry of Poitiers University, Ms. Renaud began her career in the Group in 1990 as analytical development technician for Sanofi (Ambarès site) and then the Groupement de Recherches de Lacq (GRL). In 2004, she joined the organic analysis laboratory at the Pôle d’Études et de Recherches de Lacq (PERL), before helping to set up a new research laboratory. During her time at GRL, Ms. Renaud was elected as a member of the Works Committee before holding office as a union representative and member of the Group’s European Committee from 2004 to 2011. At the end of 2011, Ms. Renaud was elected Secretary of the Group’s European committee. Her term of office was renewed in 2013 until April 5, 2017. At its meeting of March 30, 2017, the UES Amont Central Works Council – Global Services – Holding appointed Ms. Renaud as director representing employees on the Board of Directors of TOTAL. S.A. as of May 26, 2017, for a period of three years expiring following the 2020 Shareholders’ Meeting of TOTAL S.A.
Born on August 14, 1958 (Portugese). Independent director. Member of the Compensation Committee since June 1, 2018. A graduate of the École Centrale de Paris, Mr. Carlos Tavares held various positions of responsibility within the Renault group between 1981 and 2004, before joining the Nissan group. Having been Executive Vice President, Chairman of the Management Committee Americas and President of Nissan North America, he was then Group Chief Operating Officer of the Renault group from 2011 to 2013. He joined the Managing Board of Peugeot S.A. on January 1, 2014, and was appointed Chairman of the Managing Board on March 31, 2014.